Audi has officially taken the wraps off its first-ever electric crossover, the 2019 E-tron. Designed from the ground up to be a battery-electric vehicle, the E-tron boasts two electric motors and tons of new features with a base price of $75,795 when it goes on sale next year. Powering the E-tron is a pair of cooled asynchronous motors attached to single-stage transmissions. During normal power loads the vehicle is primarily powered by the rear-mounted motor, while the front unit engages when additional power is needed. Both motors disengage during coasting to boost efficiency. Energy is also recaptured during coasting and braking, like most EV products. Supplying power to the two motors is a large 95-kWh battery pack that weights about 1,500 pounds. The pack is capable of both AC and DC charging, including DC fast-charging of up to 150 kW at some high-speed charging stations, enabling up to 80 percent of the battery to be charged in about 30 minutes. Buyers will get a 9.6-kW capsule charger that can be plugged into either a 240-volt or 120-volt outlet. Audi says a range estimate for the American market isn’t available yet, but the E-tron is expected to offer about 250 miles of range on the European test cycle. 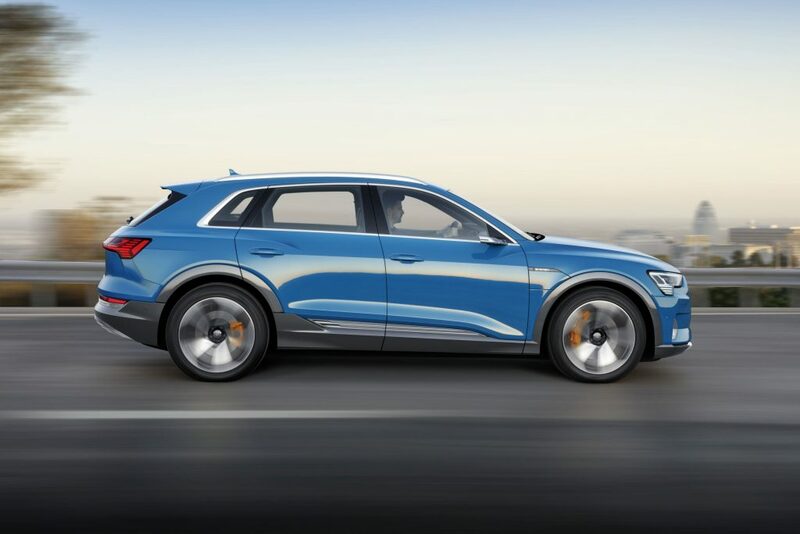 Audi has also packed the E-tron with an electronically controlled suspension system that is capable of lowering the ride height by up to 3 inches during driving to reduce drag. 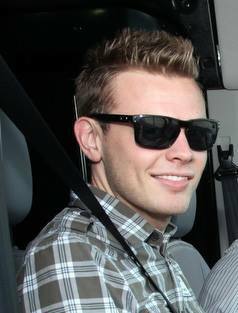 The system also allows drivers to increase ride height on demand for easier access to the cabin or to increase ground clearance. Inside, E-tron features seating for five in a premium environment. Two large touchscreens allow the driver to control the infotainment system and standard four-zone climate control. 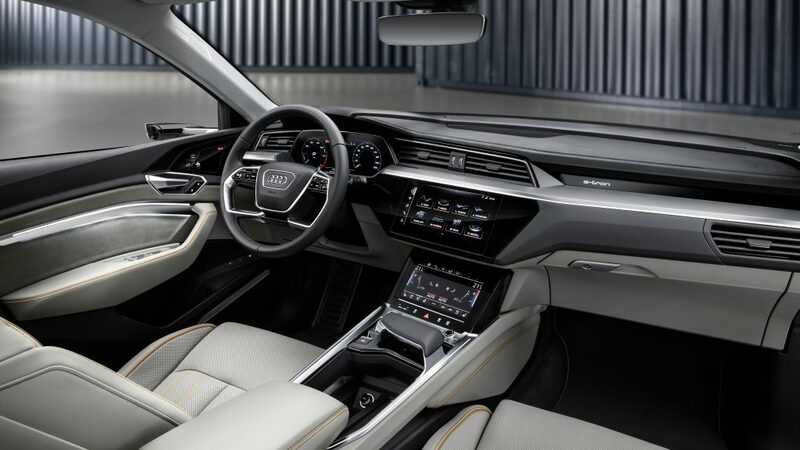 Audi has modified its infotainment system for E-tron by relying more on Google Earth imaging in its Virtual Cockpit display in the gauge cluster as well as recalibrating the navigation system for more eco-friendly routing. 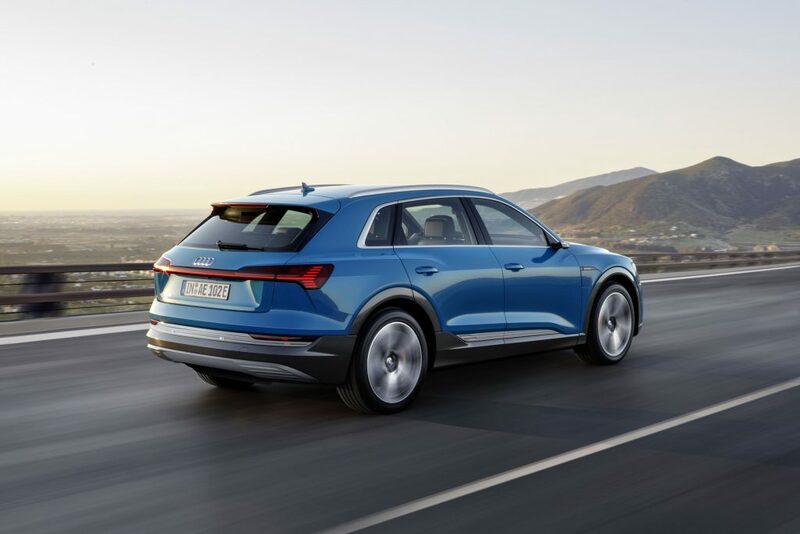 Audi will also offer a host of options on the E-tron, including adaptive cruise control and an air ionizer. 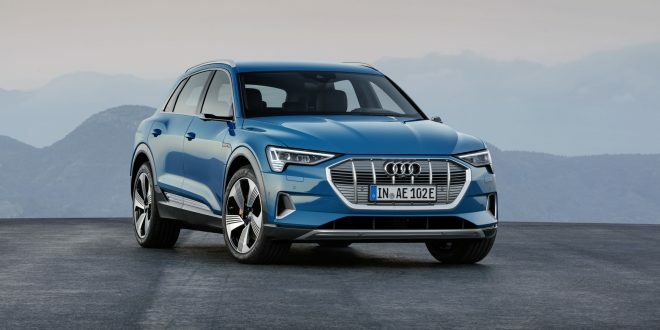 The 2019 Audi E-tron will go on sale in the second quarter of next year in the United States. When it does hit the market, it will bring with it a base price of $75,795 to battle it out with the Tesla Model X and Mercedes-Benz EQC.